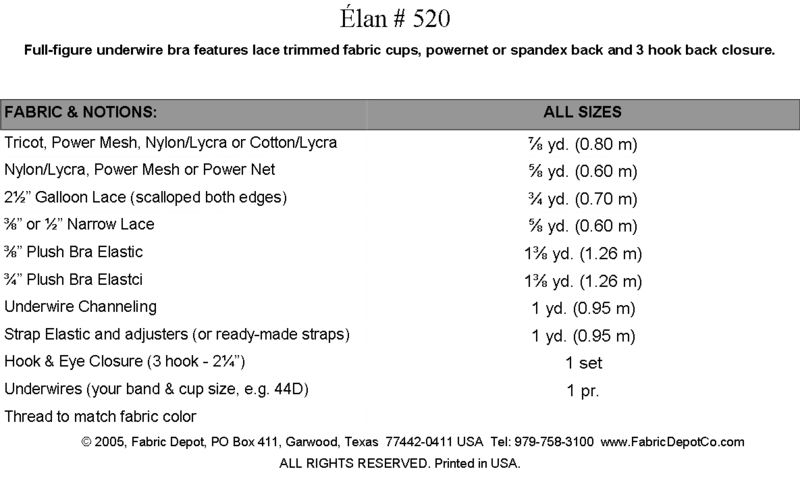 Bra Patterns - Fabric Depot Co. 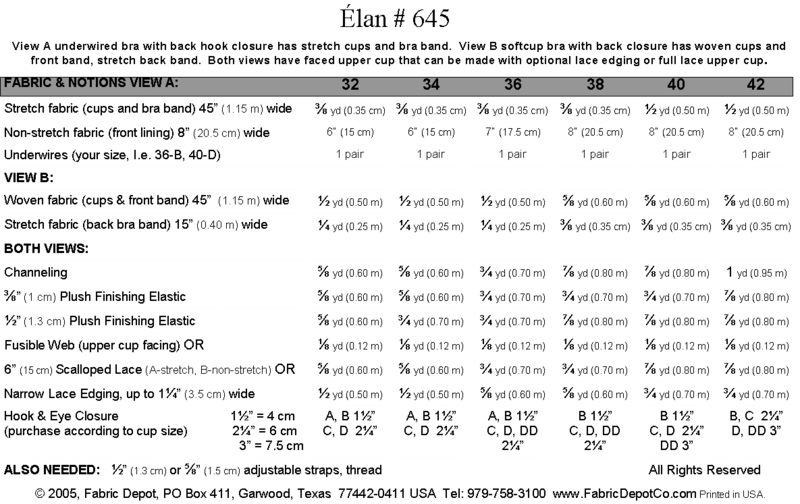 Fabric Depot is the copyright owner and publisher of Elan Bra Patterns. 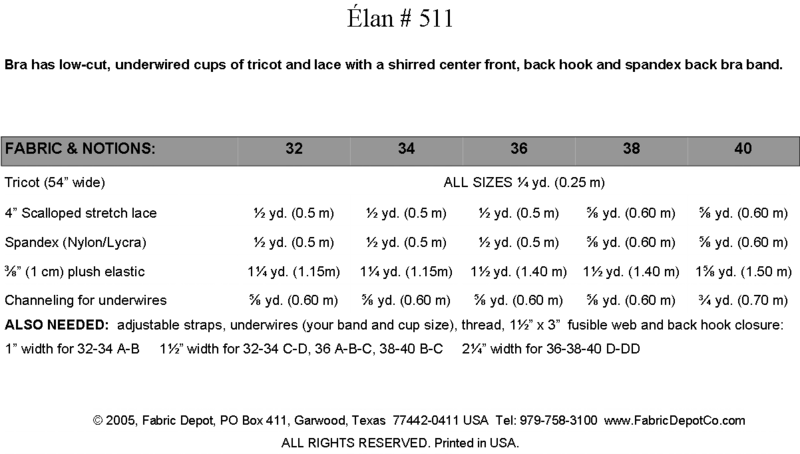 We also carry bra patterns by Kwik Sew and Ezi-Sew. 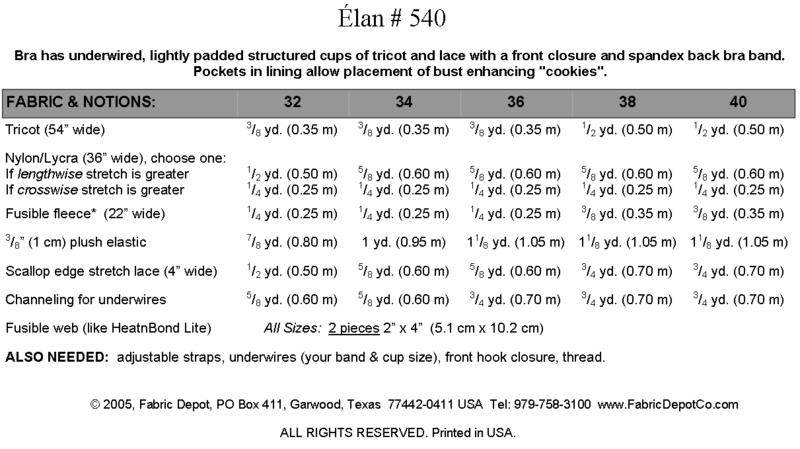 No bulk discounts are available for Kwik Sew or Ezi-Sew bra patterns. 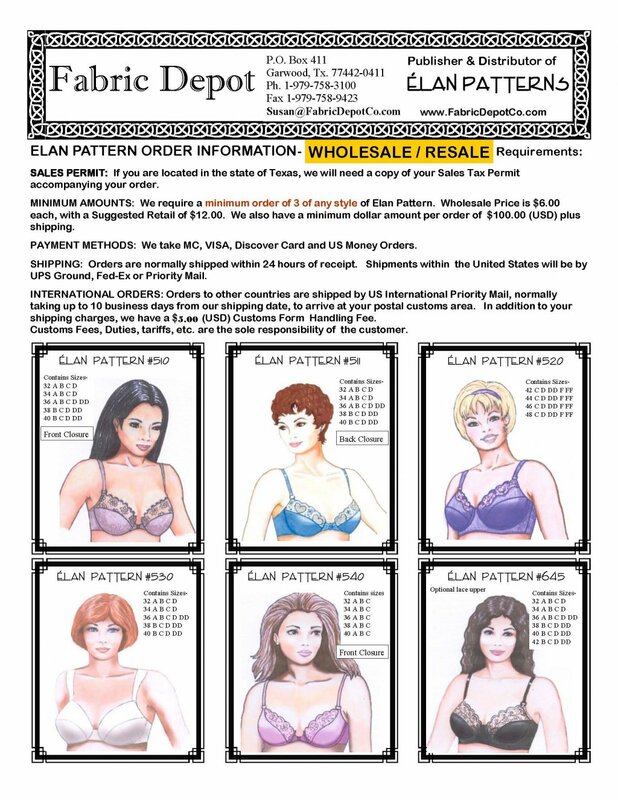 Wholesale and Resale option for Elan bra patterns is available. 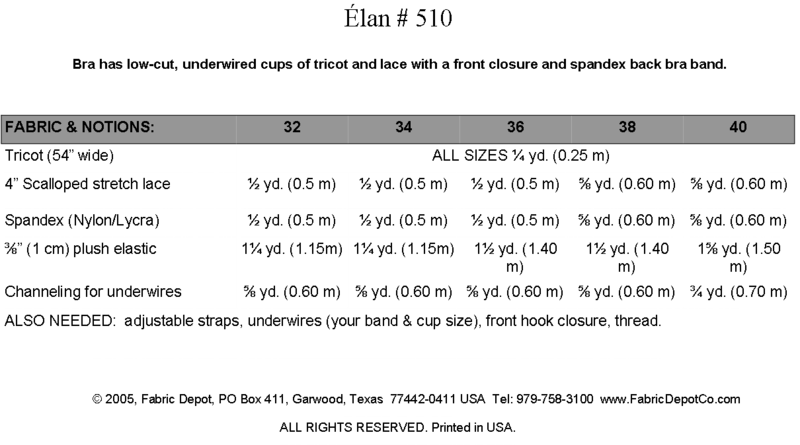 Contact us for wholesale minimums and requirements.